…to introduce runners from all over the world to the wonderful trails that crisscross the lower slopes of Kilimanjaro. 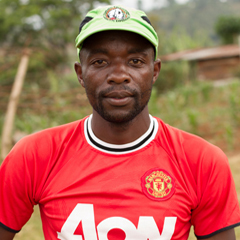 Simon was born on the slopes of Kilimanjaro and has been running since he learned to walk. He has always enjoyed discovering new adventures down the trail, whether in his home village or in far-flung destinations he has traveled around the world. 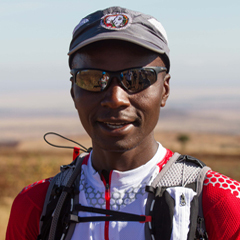 He loves the excitement he feels when discovering the world through running and wants others to feel that same excitement on his own Kilimanjaro trails. To Simon, Tanzania’s assets include not only the famous safari parks known worldwide, the exotic island of Zanzibar, and the summit of Kilimanjaro (The Roof of Africa), but also the many off-the-beaten-path places explorable only on foot and the welcoming Tanzanian people who live and work there. After years of running the trails in training and numerous sweet potato-fueled scouting expeditions to find the most enjoyable routes around the mountain where the farms and villages meet the rain forest, Simon in 2012 brought the first group of international runners, including American professional Krissy Moehl, to share his dream. His goal was to show them a different and authentic Tanzania unseen by the many tourists visiting his country. Those first participants felt fortunate and awed by the experience, as documented in the film Mountain of Greatness. From that initial success, every year Simon and his team of trail running guides have welcomed small numbers of fortunate runners from all over the world to experience the Kilimanjaro Stage Run themselves. On every KSR, several Tanzanian athletes accompany Simon and the participants throughout the run. Some set off early to mark the course each day, while others stay with the group to encourage and guide each participant throughout the route, so that no runners run alone, even if lost in their own thoughts while enjoying the majesty around them. 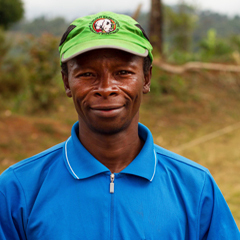 This establishes a sense of camaraderie and allows Simon and the Tanzanian guides, all of whom speak English, to better share the country that they love so much.